The MOTION ALERT ALARM passive infrared system detects motion in any selected area. 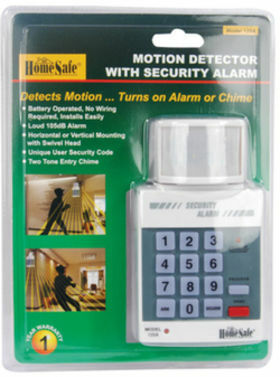 It mounts easily (vertically or horizontally) near any entry area and is battery operated, eliminating any need for wiring. 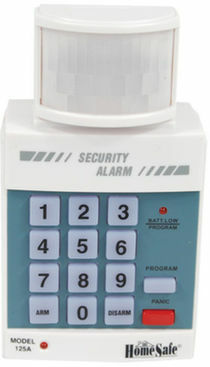 The Unit can be coded with a personal security code and can be set to utilize a two tone entry chime, instead of the alarm sound. Mounting screws and AC connector included.